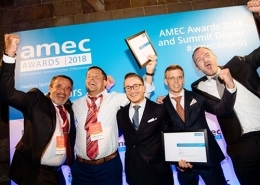 At the heart of AMEC’s Mission in 2019 is a commitment to educate the marketplace. We will do that by having industry-leading experts able to talk at conferences and events throughout the world. If you are an industry leader with proven experience in measurement, join our Speakers Bureau now. AMEC’s Global Speakers Bureau is a key part of our Global Education Programme, supported by A Data Pro as our new Global Education Partner. Please use the drop down menus to identify experts to invite to talk at your conference event and share the latest thinking and trends on communications measurement and analytics. 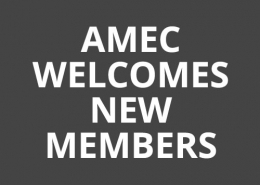 Only AMEC Members can add a Speakers Bureau profile. CLICK HERE for information on how to enter your profile. Jesper Andersen is a strategy advisor and international keynote speaker specialising in communication measurement and evaluation. He is the managing director and lead consultant of Quantum PR Measurement. Jesper consults for private companies, organisations and public authorities – including the European Union’s Regional Development Fund and Interreg co-operation. He is also a popular keynote speaker and facilitator of masterclasses and workshops on communication measurement & evaluation at conferences around the world. In the past couple of years this has brought him to a number of cities including Copenhagen, London, Brussels, Istanbul, Riyadh, Belgrade, Bergen and Oslo. In 2016, Lissted in the UK put Jesper at number 83 on the list of the Top 100 PR Measurement Influencers in the world. In 2017, he founded Measurement Day – a new annual Nordic conference on communication measurement & evaluation. Richard has played a significant role in global communications evaluation trade association AMEC since the organisation’s inception 23 years ago and has served on the board throughout this period on multiple occasions. 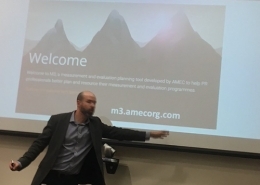 He chaired AMEC’s work-groups that created two of AMEC’s best known educational initiatives, the Social Media Measurement frameworks and more recently the new Integrated Evaluation Framework which has been translated into more than 20 languages. Richard was elected Chairman of AMEC in the summer of 2016 and continues in that role to this day. Richard’s career began in PR over 25 years ago where he worked in-house for a leading medical charity and at Saatchi and Saatchi’s global PR agency The Rowland Company. He co-founded PR measurement specialist Metrica in the mid 1990s driving the company’s growth from start up to world leader over the next 15 years. In 2009 he led Metrica’s sale to Exponent Private Equity, creating the Gorkana Group from the merger of Metrica, Durrants and Gorkana. In 2014 he joined international communications measurement consultancy specialists PRIME Research as CEO of UK and SVP of Europe. Richard worked closely with the owner of PRIME Research as a consultant on global strategy which culminated in the sale of PRIME Research to Cision in December 2017. In 2018 Richard was appointed CEO of CARMA Europe and the Americas as well as co-managing partner of CARMA International. Richard has co-authored best-selling books on PR and social media, writing the measurement and evaluation sections in both ‘Share This’ and ‘Share This Too’. He also was invited to contribute a chapter to Platinum, A celebration of the 70th Anniversary of the CIPR. He is a member of the UK Government Communications Service’s Cabinet Office Evaluation Council which works to guide Government departments and Arm’s Length Bodies on how best to measure their communications. In addition to this work, Richard was one of three external specialist reviewers for a Government wide review of its digital communication capabilities. The review looked at how digital communication is planned, executed and measured throughout Government and made a number of recommendations on how to improve the process. The report was published and accepted for implementation by the UK Government in November 2013. Richard is a member of the Chartered Institute of Public Relations, a member of the PRCA PR & Communications Council, an Honorary Lifetime Fellow of AMEC and was inducted into PR News’ Measurement Hall of Fame in 2017. Richard is a frequent speaker at communications events and conferences where he focuses on common sense messaging to help educate delegates to navigate the mine-field of the changing media landscape and how this affects PR and the credible measurement of its effectiveness. Richard has spoken at multiple events and conferences all over the world. Stella Bayles is the co-founder of PR technology CoverageBook. Stella also hosts the PR Resolution podcast and authored PRs Digital Resolution, an ebook on the digital future of PR. Prior to working in PR software, Stella spent 14 years agency-side, first in traditional PR, then specialising in SEO-PR for major European brands. Her unique approach led to multiple award wins and increased her agency revenue by 85%. Stella now shares her knowledge with others in the Public Relation industry both in the UK and USA through university lectures, conference talks, webinars, blogging and her podcast. Michael is a Fellow of AMEC (International Association for Measurement and Evaluation of Communication). Prior to starting Media Evaluation Research he spent fourteen years at Kantar Media / TNS Media Intelligence where he started their PR analysis service. He has passed the exam for the Google Analytics Qualification. He has Diplomas from the Chartered Institute Marketing and the Chartered Institute of Public Relations where he is also one of their Accredited Practitioners. For a number of years he has been a judge for the AMEC Awards and the CIPR’s Excellence & PRide awards. He currently sits on Council for the Chartered Institute of Public Relations. Johna is the Global Managing Director of AMEC. During a career spanning over 25 years, Johna has worked both as a public relations practitioner and a provider of services that are vital to the successful performance of communications professionals. Prior to leading AMEC, Johna was CMO at BurrellesLuce and previously the director of public and investor relations of a Fortune 500 company. In 2015 she was inducted into the PR News Measurement Hall of Fame for her work and leadership in the community. Entrepreneur, researcher, marketing and communication minded, designer and developer of business solutions on reputational risk management. Postdoctoral degree in Business Communication at ECA USP. Visiting professor at FIA and FGV Management, licensee associate professor at UFBA. Founder of many initiatives, among them the altaMedia Outthink Reputation platform and Nós Innovators. Member of the Advisory Board of the FGV EAESP Innovation Forum. Former Director of Communication for Labour Court in Bahia. Former CEO and founder on Amcham Salvador and ABERJE Bahia. Bradesco ‘Habitat’ Co-Innovation Center designer (Concepts, Governance, Processes and Marketing Strategies). Author of several books and articles published in some of the most prestigious editions on organizational communication. Elected the Year Person in Organizational Communication by ABERJE – National Corporate Communication Association, Brazil. Honored with the medal of Bridge Builder of the US Department of State. AMEC Member. Rayna de Lange, CEO of DeLange Analytics, an independent all-around research and analytics agency, is an entrepreneur, consultant and analytical mind. Rayna was one of the founders of Perceptica Media Analytics and head of the global media evaluation business of A Data Pro. She is an author and mentor of numerous business strategies and projects in the media intelligence field. Rayna has been actively working to help the industry advance as a Chair of AMEC’s College and Education group and a member of AMEC’s Social Media Measurement group, which sets the standards for social-media analysis worldwide. Rayna has also been a guest lecturer on communications measurement and evaluation in several universities. Lilia has 15 years of experience in PR measurement. She has been managing PR News as CEO since 2007 and has developed the company to one of the leading one in the indistry in Russia. She started her career in political PR in Moscow Fund of Parlamentarism Development and Social Information in 2001. Next 3 years she spent in PRP Weber Shandwick, Moscow office, from 2002 to 2005 and then 2 years in PR News on different positions from analysis and business development. In addition to her work experience Lilia passionately believes in the importance of education. She graduated from Lomonosov Moscow State University, Sociology Faculty and Russian State Open University of Railway Transport, Economics Faculty. In 2014 Lilia has just graduated from University of Pittsburgh, Katz School of Business, EMBA. But Lilia believes not only in self-education but also education of the industry. 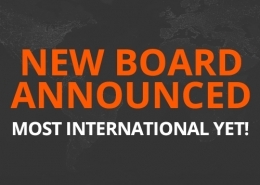 She is a member of the expert jury of Annual Student Competition “Crystal Orange”. Eric is an Internet pioneer, having either founded or served as a senior executive in Internet companies since 1996. He was CEO and Publisher of U.S. News Ventures, CEO of Five Star Alliance, and CFO and later VP of Sales at Washington Post Digital. Prior to his entrepreneurial endeavors, he was an executive at Ford Motor Company and Deloitte Consulting. Eric has an engineering degree and an MBA from M.I.T. An accomplished Olympic-distance and Ironman-distance triathlete, Eric is a co-founder, and the CEO and President, at PublicRelay, a market-leading enterprise software company providing media intelligence solutions to Fortune 1000 companies. Ann Si Krol has been in the communications industry for over 20 years both as a consultant as well as on the client side. She has broad knowledge of both operational and strategic issues concerning communication and marketing and even though she has always held a 360 approach her expertise is within digital. The last 10 years Annsi has worked within media monitoring, media analysis, business development and measuring and evaluating communication. She has a through the years managed companies within linguistic development and media analysis and consultant companies within digital communication and PR. She is now the CEO and founding partner of byBrick Insight, a communication strategy agency with analysis and insights as its core and part of the byBrick Group in Sweden. Annsi has a long experience working with large global industrial companies such as Ericsson, ABB, Volvo, SKF, Munters, HeidelbergCement etc. 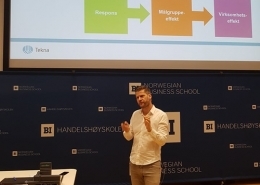 Her main focus today is supporting B2B customers understanding how to measure and evaluating integrated communication and connect it to other Business KPIs to ensure effective strategies and tactics as well as a motivated and efficient organization that work with good supporting processes. My research and client consulting work in PR/C management for the past two decades focuses on helping the head – the Chief Communication Officer (CCO) – of an enterprise’s in-house PR/Communication function with (1) strategic management (PR/C ‘s role in the enterprise’s strategic management processes and the ability to manage the department strategically); (2) structural and organizational design and development; and (3) operational and service performance measurement and improvement. In doing so, two practice areas are important. One is the conduct of a major examination of the function, whether a needs assessments, organizational review and/or benchmarking study. The other is the development of a holistic performance measurement program (and scorecard) for the PR/C department that can measure management excellence, operational/process excellence as well as communication effectiveness excellence through the application of concepts such as multi level frameworks, balanced scorecard, valid metrics, communication controlling and logic modeling. Professor of Public Communication at the University of Technology Sydney and a Visiting Professor at London School of Economics and Political Science. Jim Macnamara PhD is Professor of Public Communication at the University of Technology Sydney (UTS), a role he took up in 2007 after a distinguished 30-year career in professional communication practice spanning journalism, corporate and marketing communication, and media and communication research. In 2016 he was also appointed Visiting Professor at London School of Economics and Political Science, Media and Communications Department, working with LSE media, communication, psychology, and political science academics on research projects. During this time he also worked with the UK Cabinet Office following up on projects that he undertook in 2014 and 2015 in relation to listening and citizen engagement. In 2015 Jim concluded a two-year, three-country study of how and how well corporate, government, and non-government organisations listen to their stakeholders and publics, which has been reported in a research report available online, a number of journal articles, a public lecture at London School of Economics and Political Science, and a book (Organizational Listening: The Missing Essential in Public Communication published by Peter Lang, New York, 2016). Commissioned to review government advertising and communication by the state government of New South Wales, Australia’s largest state headquartered in Sydney, which spends more than US$100 million a year on public communication, and develop the NSW government’s new evaluation framework introduced in 2016. Jim is the author of 16 books including The 21st Century Media (R)evolution: Emergent Communication Practices (Peter Lang, New York, 2014);Organizational Listening: The Missing Essential in Public Communication (Peter Lang, New York, 2016); and Evaluating Public Communication: Exploring New Models, Standards, and Best Practice (forthcoming in 2017 by Routledge, UK). Jon sits on the AMEC international board, to which he brings the perspective of an agency veteran – he has 25 years’ agency experience, encompassing consumer, corporate and business-to-business communications, and crisis and issues management. Jon’s career has seen him develop and run successful international integrated communications campaigns for organizations including PayPal and Shell, and UK programs for clients in food and drink, travel and tourism, publishing, property and other sectors. In his current role, Jon runs Grayling’s global Strategic Services team, which provides research, insights and strategy; creative and content solutions; and of course, measurement and evaluation methodologies to the agency’s international network. Jon is a regular judge of creative industry awards, including the SABRE Awards, CIPR Excellence Awards, PRCA Awards, PRWeek Awards, Muse Creative Awards, and Vega Digital Awards, and an accomplished speaker at international conferences, including the 2017 International Communications Consultancy Organisation (ICCO) Summit in Helsinki, and the Global PR Summit series in Istanbul and Malta, 2018. Jon is also a Member of the Chartered Institute of Public Relations and the Chartered Institute of Marketing in the UK. British born, Jon is currently resident in San Francisco. Mazen Nahawi is founder and president of News Group International, a global company focused on insights and stakeholder engagement. News Group’s key subsidiaries are CARMA, a global leader in media intelligence with 1,200 clients across 43 countries, and SOCIALEYEZ, an emerging markets leader in social media engagement. Mazen began his career as a journalist before working in senior positions in PR and management consulting. He lives in Dubai with his wife and children. Giles is responsible for the UK’s complete portfolio of services and capabilities. He works across technology and consumer accounts providing strategic counsel, campaign planning and creative platforms that include corporate, technology, digital and influencer communications. He joined LEWIS in 2013 and brings a wealth of experience to the agency having worked at some of the world’s most notable agencies. During his career he has worked for high-growth companies as well as blue-chip brands including Citrix, EMC, McAfee, Novell, Oracle, SAS, and Samsung. Storytelling – why don’t most brands get it? Dr. David Rockland leads Ketchum’s research, measurement, analytics and insights services. In addition, he is CEO for Ketchum Change, the firm’s change communications consulting enterprise. He manages approximately 160 people across the two business units in about 20 offices globally. He also formed Ketchum Interactive, now known as Ketchum Digital. David took over as international Chair of AMEC in January after serving on the Board and being inaugural chair of AMEC’s North American Chapter. He led the development and implementation of the first-ever industry standards for PR measurement in 2010, the Barcelona Principles, as well as the setting of a 2020 agenda for measurement and evaluation of communication. In part for that effort, he was inducted into the PRNews Measurement Hall of Fame in April, 2012. He regularly lectures at various conferences and other events around the world about the Barcelona Principles and other aspects of communications measurement, and writes a monthly column on measurement for the Public Relations Society of America. He is an emeritus member of the IPR Commission on PR Measurement and Evaluation, and was its Chairman for 2007 and 2008. Prior to joining Ketchum, David was Senior Vice President and Managing Director for Roper Starch Worldwide where he managed the company’s environmental and public relations practice areas. David previously owned his own firm, The Rockland Group, specialized in environmental issues management and marketing, which he sold to Roper Starch in 1998. Clients included the National Cattlemen’s Beef Association, BHP Copper, International Association of Fish and Wildlife Agencies, and Public Lands Foundation. He has also held the top corporate communications role at two large global corporations. He holds a Ph.D. in Natural Resource Economics from the University of Delaware, and has held teaching roles at Rutgers, NYU, and the University of Maryland. He and his wife, Sarah Dutton of CBS News, reside in New York City as well as a farm on Maryland’s Eastern Shore. Allison Spray is the Director of Data and Insights for Hill+Knowlton Strategies. She is responsible for the ‘H+K Way’ for measurement, reporting and insight development. 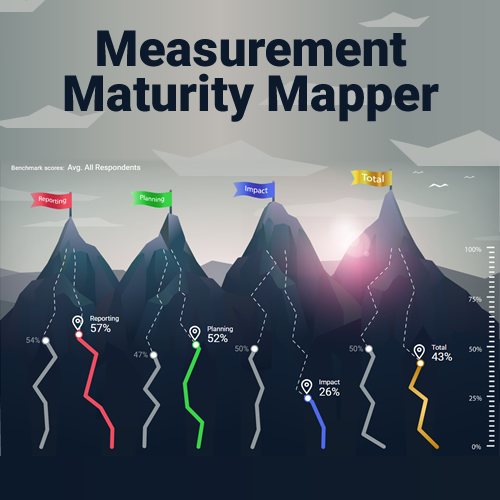 This includes development and support and of new tools and services, such as H+K’s proprietary influencer identification and tracking tool Sherlock+, and Made To Measure, an iterative evaluation and reporting solution. Allison joined H+K from FleishmanHillard London, where she was Director of Insights & Planning and Research & Analytics, EMEA. She brings nearly a decade of experience in integrated measurement and creative brand strategy, overseeing global measurement and research programmes for Fortune 500 brands. Her previous clients include Salesforce, Thomson Reuters, Bayer, Philips, PwC and Fitbit. She is a well-respected industry figure and has spoken on data and insights at numerous conferences, including PR Week’s PR360, the ICCO Global Summit, Social Media Week and PRCA’s Ignite series. Paul is a senior communications and events professional with more than 20 years Middle East experience in all phases of corporate, event, brand and government communications. Paul has spent time in senior roles both in-house and agency side with regional and global agencies. He is a former member of board for the Middle East Public Relations Association (MEPRA). With CARMA he is looking to bring his PR experience to bear within the media intelligence industry by providing knowledge and insight of how measurement should be used by the PR industry.